Center of the Universe Released! Today is the day. Our second full length album is officially out. 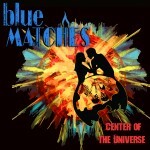 Our new record, "Center of the Universe," will be released on March 17th! 13 never before heard tracks. Our first single/video to the song "Watch the Sun Explode" is coming very soon. Our new EP comes out in just one week! 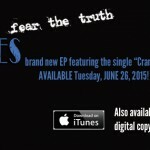 Get "Fear the Truth" on our very own website, or other retailers such as iTunes! Pancake and Booze Art Show! The Pancake and Booze Art Show is tonight! 12th and Porter. It is an awesome experience, come out and support visual and aural artists! $5 gets you in. Booze. Pancakes. Art!